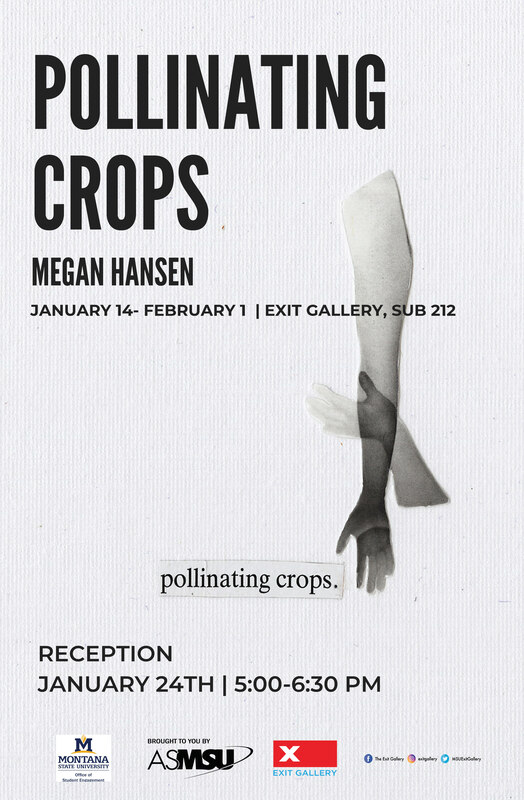 Pollinating Crops, by Megan Hansen, is an exhibit about self-discovery and the explorationg of self and relationships. This exhibit takes a look at relationships, the connections between people, the meanings behind the connections, and how relationships interconnect with the many aspects of our lives taht make us who we are. 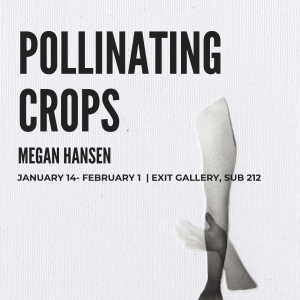 Through photography and print, Pollinating Crops takes a deeper look at the dependence we have on others, and how that ultimately affects human ties and relationships, as well as our perceptions of ourselves. The exhibit will be open from January 14th-February 1st. The reception will be held Thursday, January 24th from 5:00-6:30pm. The Exit Gallery is open Monday-Friday 10am-6pm.